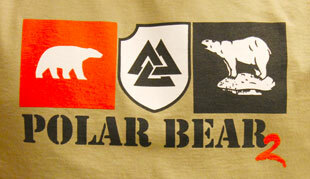 Operation Polar Bear took place Valentine’s weekend of this year in Reykjavik, Iceland. My wife, Maria, and I flew in to Keflavik on Wednesday prior to the event, figuring that we would spend a few days touring around the area before the event on Saturday and Sunday. I couldn’t stop thinking about Tom Clancy’s Red Storm Rising the entire time. It was snowy, windy, and not a tree in sight on the jumbled lava fields. I could just picture the Russian hovercraft beaching in front of our bus, disgorging paratroopers to storm the base. I also understand a bit better the complaints from the characters in the book about walking across the lava fields. Before anyone says, “Iceland? In winter? Are you CRAZY? !” The answer is yes, somewhat. The temperatures hovered just below freezing for most of time we were there. We did get some snow and freezing rain, but the weather did not stop us seeing some amazing things. I think that some of what we saw was actually prettier in the winter. They also say that February is the best time to see the Northern Lights, but no joy for us; it was cloudy each night. Jökull met us for lunch at our Guest House, aptly named Eric the Red, and took us to a wonderful bistro with a great fish-of-the-day. 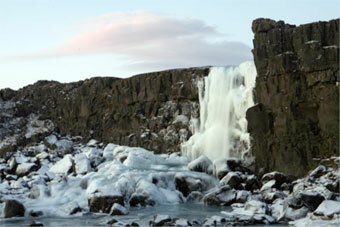 Reykjavik itself is a fairly small city, with a downtown area and attractions that are easily seen on foot. There are a ton of cool shops, restaurants, coffee/tea houses, museums, etc. all within a very short walk. Pretty much everyone speaks English far better than I do, so getting around was never an issue. We spent the rest of the day walking around the town, checking out the occasional museum, and then called it an early day. Thursday was stunning and sunny when we first got up (sunrise about 9:45), so we rented a car and took the Golden Circle drive. Basically, this is an all-day jaunt not far from Reykjavik to see some pretty incredible natural wonders. The first stop was the rift valley through the Þingvellir National Park. This is where the North American and European continental plates meet, and are slowly being ripped apart. 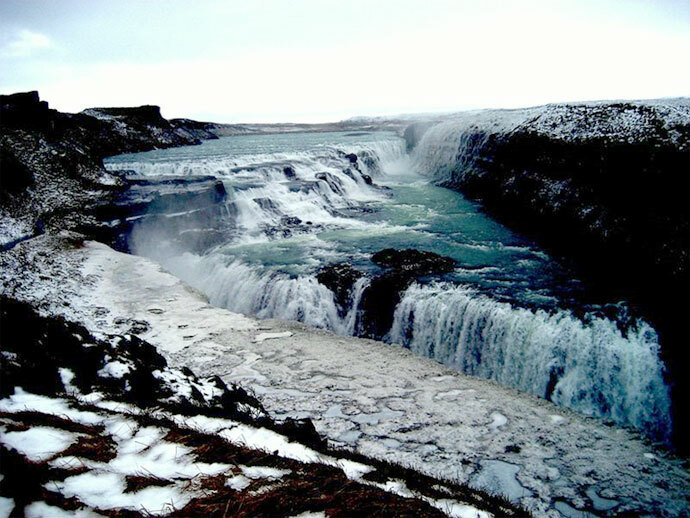 The rift gets about 1-2cm bigger each year; basically, when you think of Iceland, think volcanic activity. Even in the snow and in -10° C temperatures, the valley was beautiful. We really need to go back in the summer when it is more hikable. The valley itself is surrounded by hills and mountains, most of which are volcanos. The next stop on the trip was Geysir to see the geyser that all of them were named after. Seeing a geyser in -12C weather (yes, it was getting colder and windier as the day progressed and the sun came out) is an incredible experience. The super-hot steam freezes very quickly when it is that cold, and the area downwind from the geyser was a solid sheet of treacherous ice. This interesting thing about Iceland (apart from the food - more on that later) is that unlike the US, they don’t go in for all of the warning signs and roped-off areas. There are a few, but nothing like you’d find in the States if boiling water were flowing near a trail and an ice sheet was on a thermally active area. They figure that if you’re stupid enough to get yourself into danger, then you deserve the Darwin Award. I can’t say that I disagree. I was surprised at the people trying to navigate the ice sheet to take a peek in the geyser hole. It would have been one dead dude if it had gone off. We met Jökull at his house on Thursday night for a wonderful dinner, meeting the other foreign player attending, Andreas and his girlfriend, Matilda, both from Sweden. Jökull was a gracious host, serving lamb, cod, arctic char, and for the adventurous (not me) whale meat sashimi and roast. 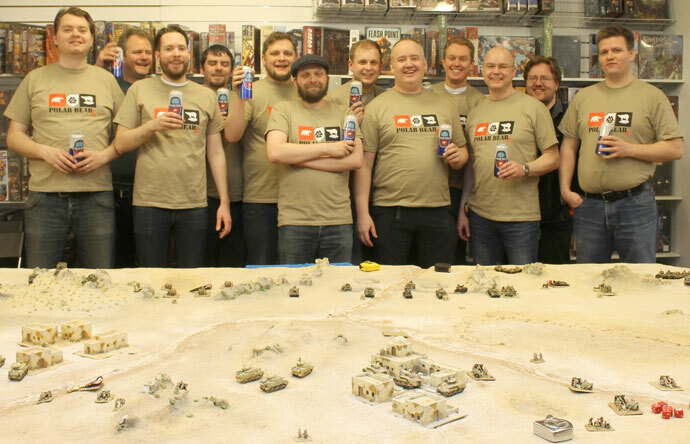 After dinner and a rather nice Highland Park whisky (yes, I’m very partial), the ladies left us and Jökull, Andreas, Stefán (also from Iceland), and I went down to Jökull’s rather nicely appointed game room and had a great two-on-two EW mostly tank battle from Blitzkrieg. The game was about 1500 points per side. The French had way too many FA 3 thingies (Hotchkiss and Somuas) vs. way too many PZIIs, and a few PZIIIs and PZIVs. Stefán and I made a valiant attempt to stop the rampaging Frog hoard, but the FA4 of the Somuas proved too much. Did I mention that we had more whisky? It’s all a blur. 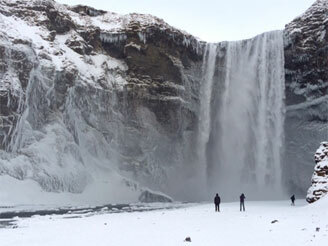 (left to right) Andreas, Jökull, Stefán and Bill. French vs. Germans in Jökull's game room. 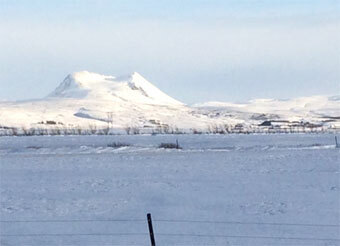 Friday saw us on another long drive, this time along the southern coast of Iceland. The scenery was again stunning with multiple waterfalls, volcanos (the “small” one with the unpronounceable name that stopped air travel in Europe a few years ago), and crazy cool black basalt cliffs falling into the ocean. It was warmer, but we had gale force winds that actually almost knocked Maria down as we were gazing out to sea. The crazy thing is that it seems like he Icelanders take some twisted pride in the fact that one of their “small” volcanos was able to shut down air travel in and out of Europe. Damn Vikings. The last touristy thing that I’ll mention is again the great pride that Icelanders take in their pools. The whole country is swimming crazy; it seems that the smallest little towns (pretty much everything outside of the capital) has a swimming complex. Most of these all seem to be geothermal fed, so are quite warm even in winter. The pool complexes are huge with multiple hot tubs (various temperatures), saunas, cool pools, spas, etc. There’s something civilized about soaking in 44C water after a hard day touring in the cold, having to dunk your head every so often to unfreeze your hair. Everyone told us to go to a pool for a dip, and I’m really glad that we listened. Talk about a great way to unwind after a tiring day of sightseeing. Saturday saw the start of a 5-round pretty much Red vs. Blue LW tournament (only the last round was partially Blue vs. Blue). 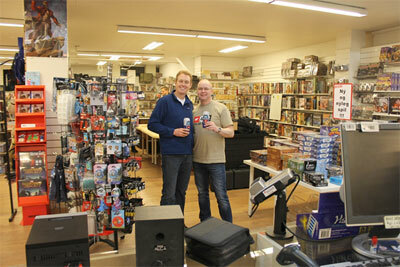 The tournament took place in the only real game store in Iceland, Nexus Games, and I have only good things to say about this store. They had a great space for open gaming with chairs, restrooms, nice tables, and a kitchen. The store itself had a great and wide selection of games, collectibles, Manga, Comics, DVDs, and books. They probably had the best sci-fi/fantasy book collection (all in English as far as I could tell) of any store that I’ve seen except for Mysterious Galaxy in San Diego. They kept the store open late for the event and treated us really well. I highly recommend if you happen to be travelling through. 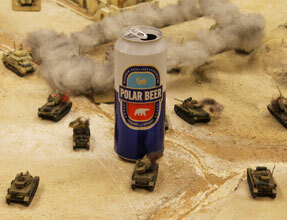 Lastly, the tournament was sponsored by Polar Beer. We had quite a few complimentary cases of this very nice local lager. That will help you understand my lack of detailed memories for games on Day 1. I took RV Chaffees from the Remagen book, and boy is it a fun list to play. This list fits perfectly into my play style: it goes VROOM!! Fast and in your face is the only way to play. 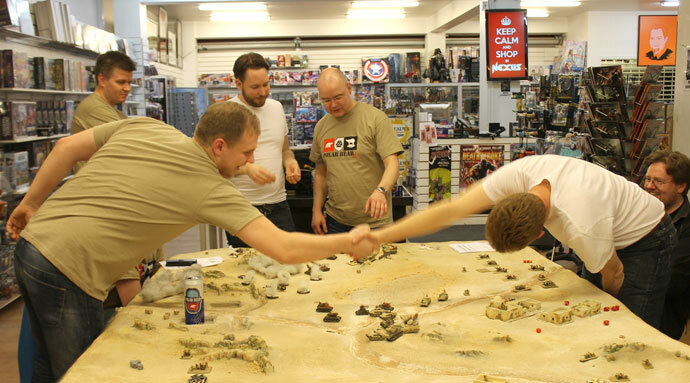 We had 12 players, and Jökull and the gang did a very nice job on the tables. We were all there for fun, and it showed throughout the event. I don’t remember one altercation or rules kerfuffle the whole weekend. 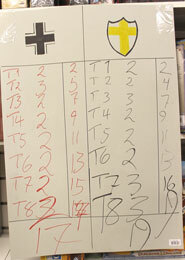 A couple of the tables from the tournament. At the end of Day 1 I had won my three games, but each was challenging. The standard of play was very high, and you couldn’t beat the welcome and the camaraderie. 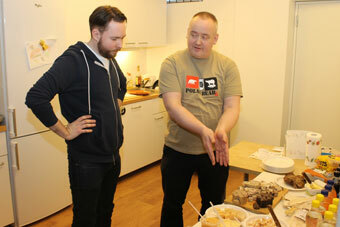 Before getting to the evening scenario game and Day 2, I want to say a few things about traditional Icelandic food. 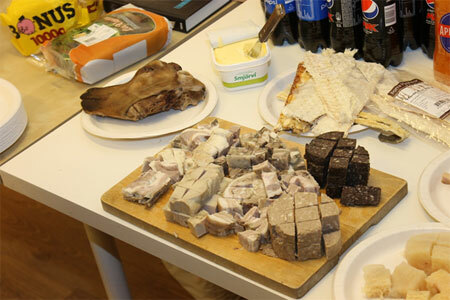 Jökull brought in quite a spread for lunch on Saturday comprised of traditional Icelandic winter foods. The best way to describe the selection is to say that these are the foods that were available towards the end of a hard winter that could be easily preserved prior to refrigeration and air transport (and yes, it does get above freezing there in the winter). Thank God for the last three. 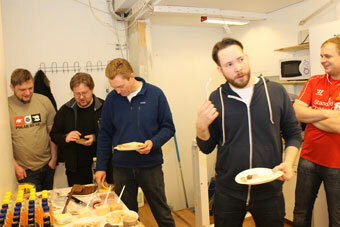 Everyone else really enjoyed the food, and I loved my sandwich. I’m just not that adventurous, I guess. That evening we did a quick pizza dinner break then dove in to a team scenario event on a custom-made board that was used for an Icelandic movie about gamers (still to be released). Jökull was the “military” advisor for the film, and part of his compensation was this beautiful board. This was a desert game - basically El Alamein. No infantry, a few guns, but mostly tanks. 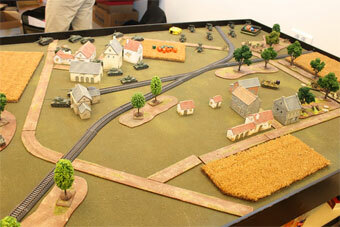 Each player commanded 2-ish platoons trying to capture six objectives. 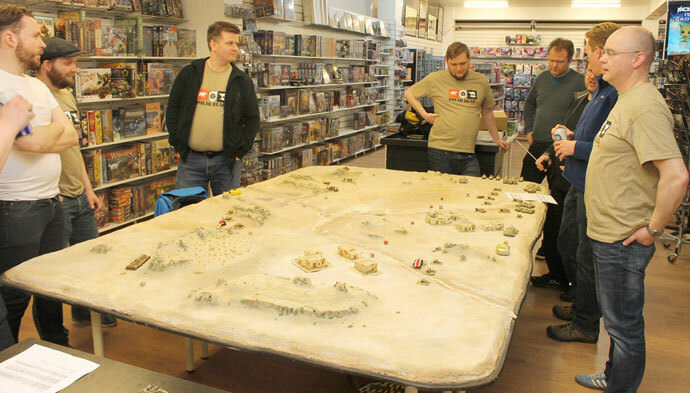 The kicker for this game was the Einherjar handicap, that at the start of each team’s turn, the teams had do shots for however many objectives they controlled. 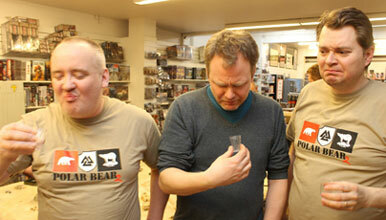 We had a rather nice vodka, and some Icelandic version of vodka. We drained the bottles. This was after having just a few beers. As you can imagine, it got “interesting” fast. All of this was accompanied by WWII music piped through the store. There’s nothing like blasting the Jerries to the ringing sounds of the Andrews Sisters and Boogie Woogie Bugle Boy. The obligatory shots. The sponsor's 'pack shot'. We somehow didn’t break anything, no one got sick, we had an amazing time, and some of the crazies pictured above went out to a pub afterwards (ask Andreas about Jökull’s never-ending story sometime). I just couldn’t keep up with these guys. The tournament was a blast, but the evening game was definitely the star of the event. I was the allied general, which basically consisted of smoking the 88s and telling my compatriots to go out and kill stuff; there was no real coherent strategy. Luckily for the good guys, the German commander had pretty much the same philosophy (minus the smoke rounds). Andreas decided to challenge my company commander (in a Grant) to a mano-a-mano duel with his Italian Carri commander. It ended as you would expect. Showing the colors, and sitting before falling. Notice how happy Jökull looks. Who knew that cops could hold that much alcohol? For some reason, Jökull wanted to keep scores for the rounds (number if objectives held), and I think this picture pretty much sums up the course of the evening, and yes, the same person did all of the scorekeeping. 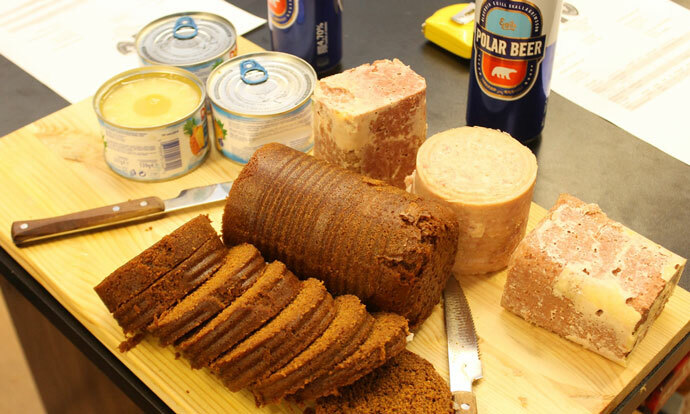 One more word on food; about six weeks before the event, Jökull emails me and asks if I can get a hold of canned bread. My response is basically WTF is canned bread? I hunt some down and bring 10 cans with me to Iceland for the event. During the big game in the evening, he breaks out the “Foods of WWII” tray, Hershey bars, canned bread (the U-boat guys loved this stuff he tells me), corned beef, spam, and pineapple rings. Believe it or not, the bread wasn’t that bad, kind of sweet pumpernickel (of course we had been drinking A LOT at this point, so my judgment is probably suspect). Day 2 saw us back at the store for the remaining 2 games. Can we say hangovers? Wow I was a hurting camper, and not the only one, though I do have a better memory of these games. 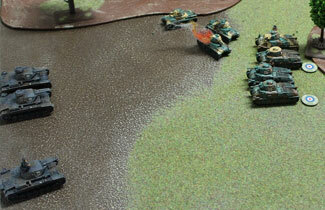 The first was against Andreas’ beautifully painted JT company with Carius. These were some of the nicest-looking models that I’ve ever seen; truly stunning. 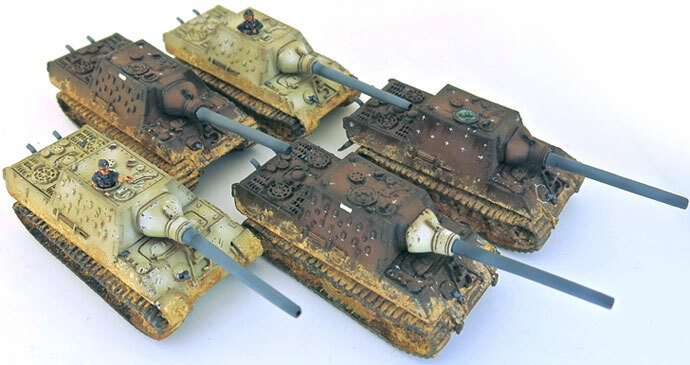 Some of Andreas's beautifully painted models. We played Hasty Attack with me attacking. The board had a village in the middle with lots of LOS blockers, but little in the way of area terrain. I was able to move up under cover, and then sprint to the sides of the JTs using smoke to pave the way. 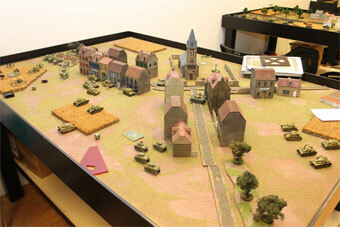 I ended up flaming the infantry holding the middle objective, and sniping the JTs from the rear with Chaffees and E8s. My speed and liberal use of DFS won me the game. 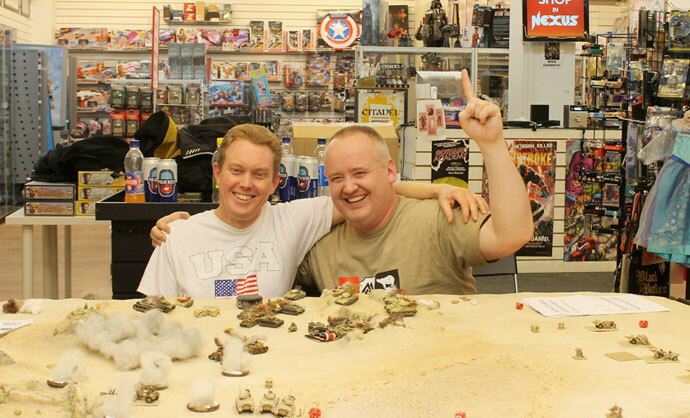 My second game was against the other Chaffee player, Brjánn Jónasson, in Dust-up. 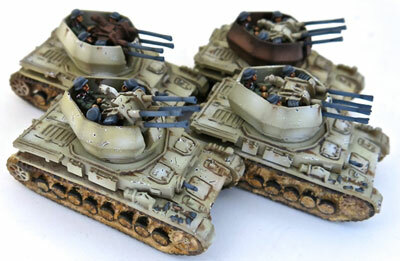 I started with 2 Chaffee platoons and the Shermans; he started with one 5-Chaffee platoon, 4 Jacksons, and 3 priests. I move first and kill…nothing. Not good. Brjánn then moves and his Chaffees take out 5 of my Chaffees including my 1IC, luckily his Jacksons completely whiff. My second turn and I kill his Chaffees and whiff on the Jacksons. Brjánn’s second turn and my other Chaffees are gone. Luckily I get the 5 for company morale and get my Crocodiles in reserve. My Crocs kill his 1IC and force the priest to a morale check (which he makes otherwise he’s at company checks), and then the Jacksons kill the crocs (4 shots, 3 kills and a bail and I fail the morale). Company checks… a 4. Game over fast, but we had a lot of fun. There was none of that slinking around and camping for us. Brjánn and I were knife fighting immediately with pretty much equal armies. A great day and weekend. I highly recommend this event to anyone interested in combining some amazing sightseeing with awesome hospitality, and great gaming. The boys took great care of us, providing rides, acting as guides, and opening their homes. I can’t say enough good words about the whole extended weekend. The country is just too cool to see, and the boys in Reykjavik treated us right. 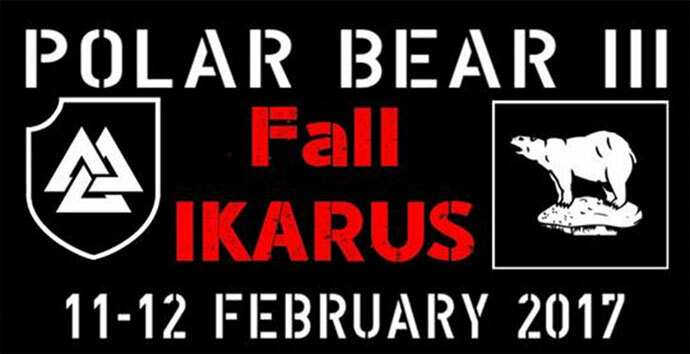 Jökull tells me that the next event will be February 11-12, 2017, so you have almost two years to plan. I’ll be there, work permitting, and you should too.